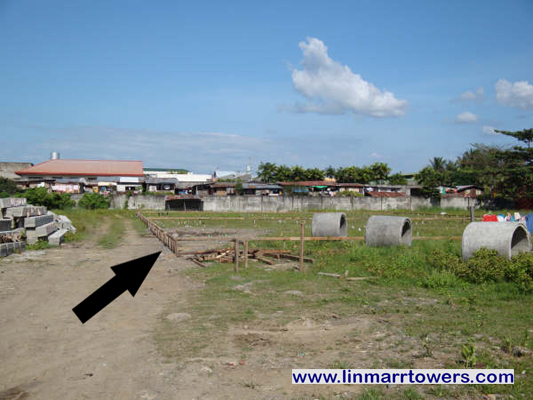 A view of Linmarr Towers compound with markers in place outlining the layout of Condominium Building "A". These markers will allow our construction team to pinpoint where the foundation piles would be hammered in. This will be an exciting event in Davao City.